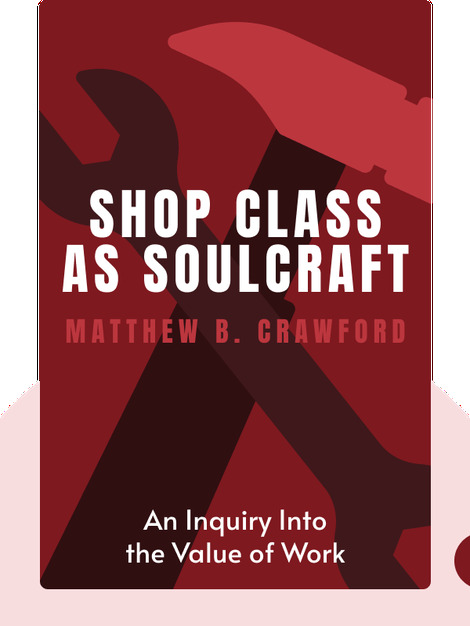 Shop Class as Soulcraft (2009) is an eye-opening view into how working with your hands can transform your life. These blinks take a look at the changing nature of work, the value of manual labor and how choosing a trade, as opposed to a profession, might be your ticket to happiness. 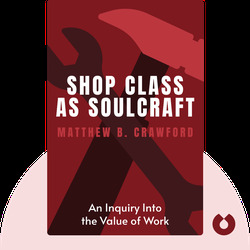 Matthew B. Crawford is a philosopher and motorcycle mechanic. He earned a Ph.D. in political philosophy and took a job at a Washington D.C. think tank but wasn’t satisfied. So he changed course to open an independent motorcycle repair shop and is still pursuing academia as a research fellow at the Institute for Advanced Studies in Culture at the University of Virginia.